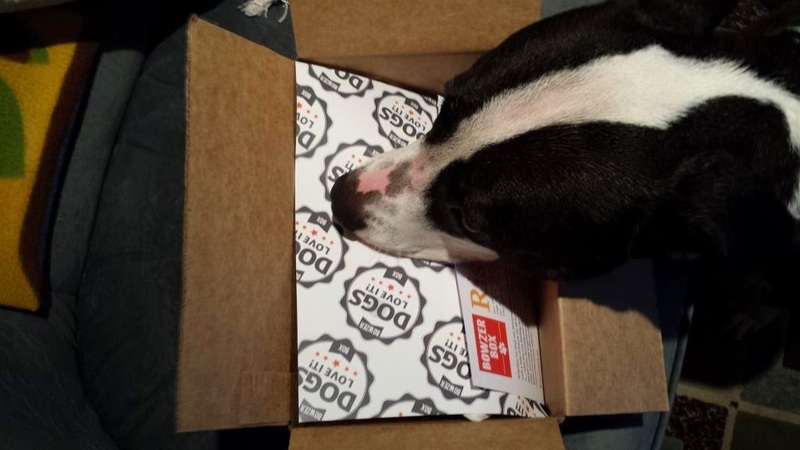 Yep, another pet subscription box. 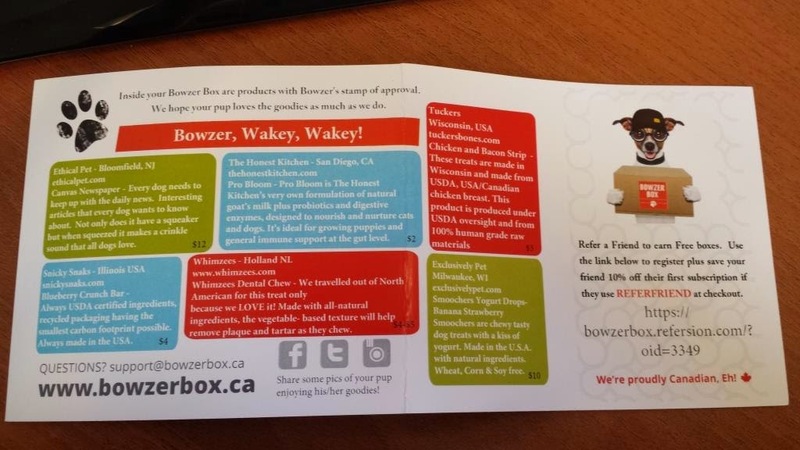 We've signed up for a 3 month stint with Bowzer Box, a Canadian-based company. No, I won't keep all subscriptions active. Back to Bowzer Box. It costs $29.95/month plus $4.50 shipping if you go month to month, there is a discount if you subscribe to multiple month packages (3 or 6 months). It's scrunchy and has a squeaker too. Yep, she loved it. Yep, it lasted 20 minutes before she put a hole in it. Dr. Mama will have to repair. 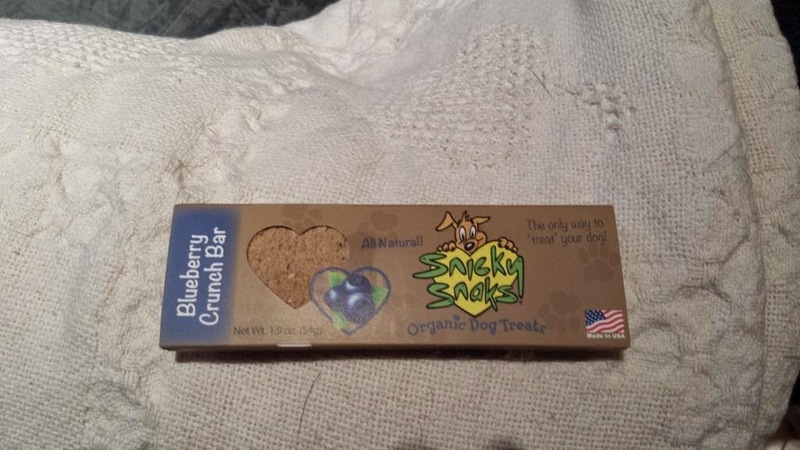 Next is a Blueberry Crunch bar from Snicky Snaks. Costs $4. She's not tried this yet. She's food-moody. Sometimes she loves a crunchy snack, sometimes she would rather stinky-chewy. 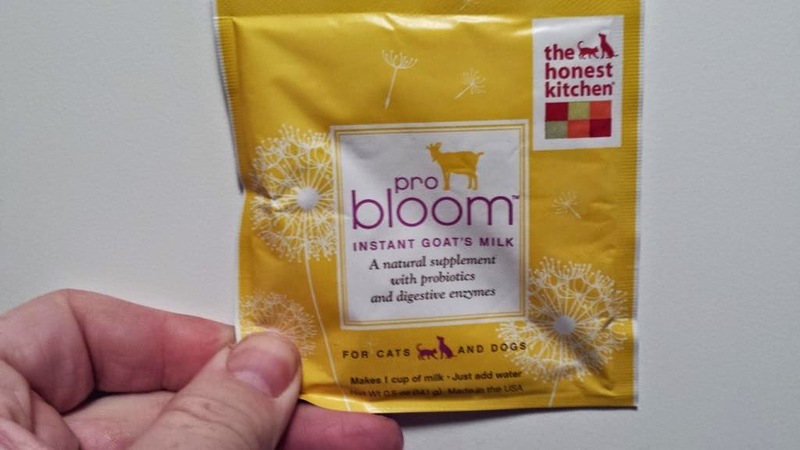 From The Honest Kitchen we received a Pro Bloom powdered goats milk. Retail price is $2. Adds probiotics and digestive enzymes. Goo eats probiotic yoghurt, so I will try this with her too. 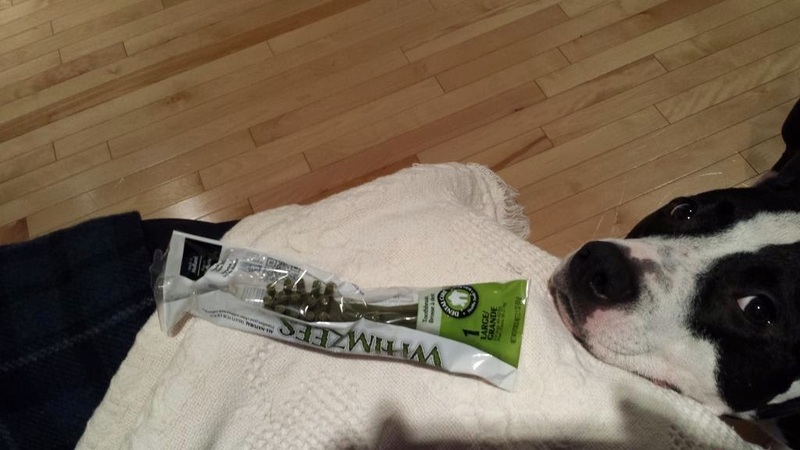 Whimzees Dental Chew from Holland! Costs $4-5 each. She looks interested but undecided. 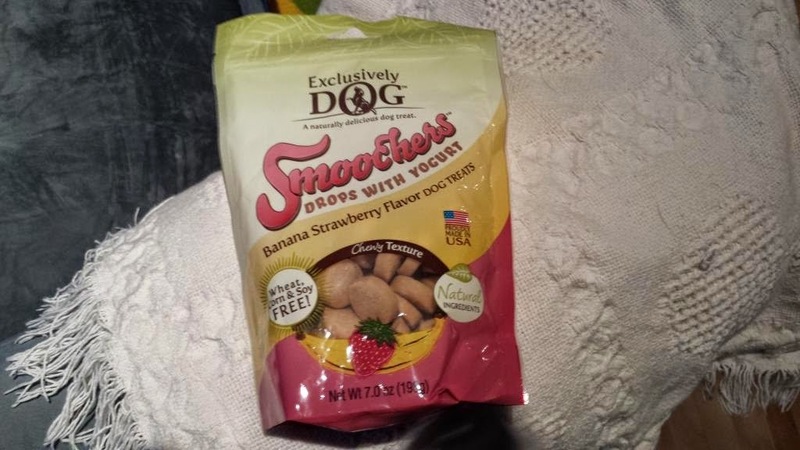 Smoochers Yoghurt Drops Banana-Strawberry flavour from Exclusively Pet. Price is $10. 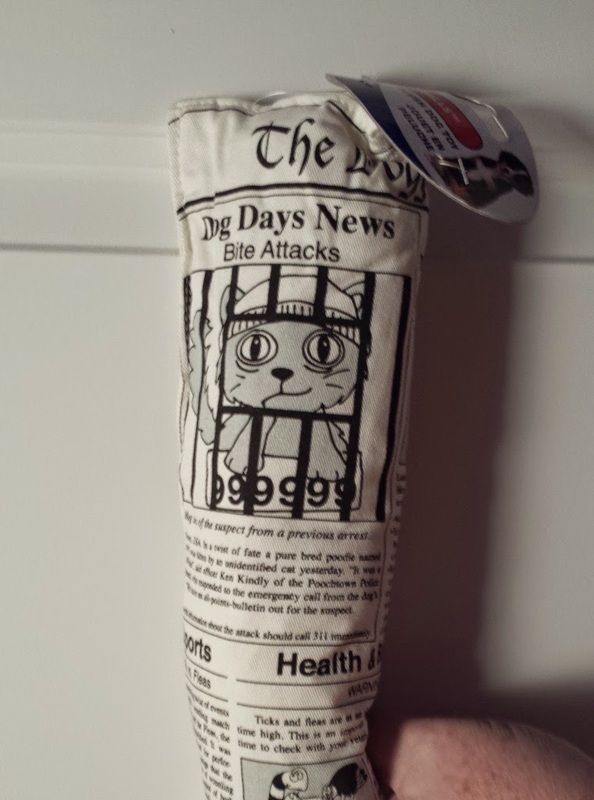 This company specializes in finicky eaters. This was a NO GO for the Goo. Nope, not even a little. The local shelter will be getting the package. Chicken and Bacon strip from Tuckers. 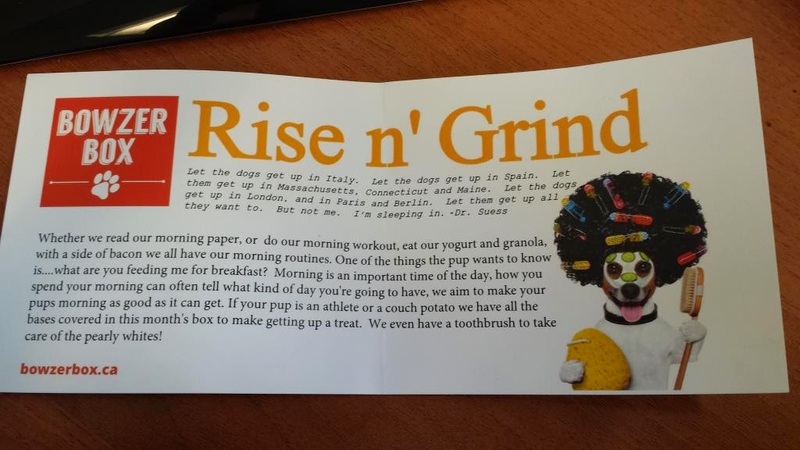 This was gone in a flash and the picture is a blur of a dog running away with it in her mouth. She gobbled that up in a flash. Cost=$3. So a selection of 6 items of which 5 will be used. That's not too bad. I look forward to the next boxes. The value of the box is $35. So about what we paid for the box. The cost is only one part, it's the amusement we get from opening the box.